The little paper that could. What that might be? You know, that little project based on a small sample size that generated big opportunities. Ever had one of those? Well, we recently did. The “we” in this post was our MetroHealth/Institute for Computational Biology Pilot study, affectionately known as MIPs. Collaborators Drs. John Sedor and O’Toole (“the Johns”) along with CWRU investigators Drs. Will Bush and Jessica Cooke Bailey joined me on this short-term adventure to show that we could ascertain patients in Cleveland and ask for access to their electronic health records for research and for a donation of a biospecimen or two for DNA extraction and other exciting ‘omics. 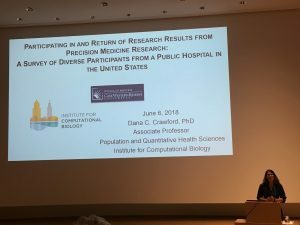 John O’Toole was also curious to understand if Cleveland patients would be interested in joining a national biorepository knowing that their data, including electronic health record data, would be stored centrally in a big database and shared with other investigators. Also, what were their thoughts on return of research results, including genomics? Inquiring minds wanted to know, so we devised five quick questions that broadly covered these areas and gave this mini survey out to patients we asked to participate in our MIPs. This five-question, seemingly off-the-cuff survey has now resulted in a peer-reviewed full-length manuscript (PMC6164471) and several conference abstracts selected for poster and oral presentations. The most surprising reward of all, for me, was that this little abstract was submitted to and selected for an oral presentation (Figure 1) at Keystone Symposia’s One Million Genomes: From Discovery to Health. 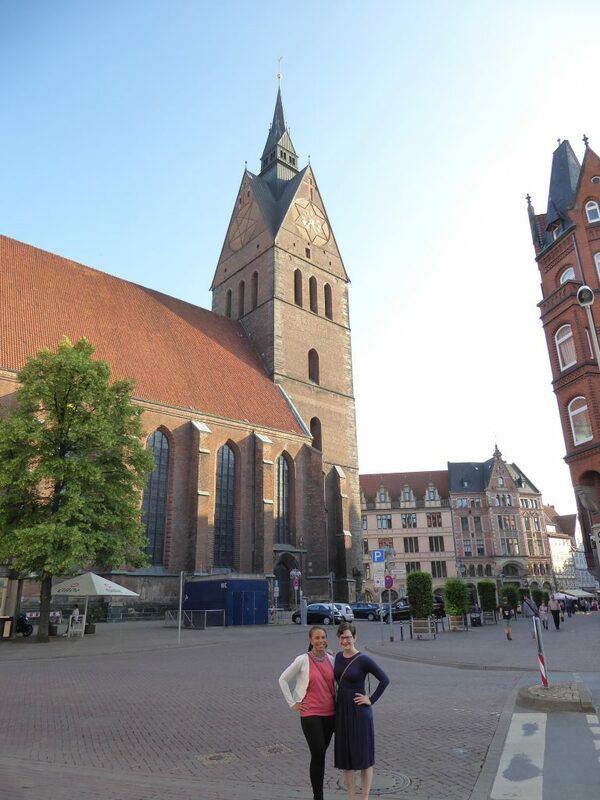 Hannover, Germany, here we come! 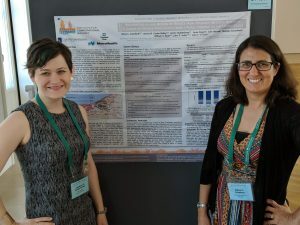 On this international adventure (Figure 2), I joined up with conference attendee and co-first author Jessica. We also were ecstatic to learn that Janina Jeff was coming to represent Illumina. 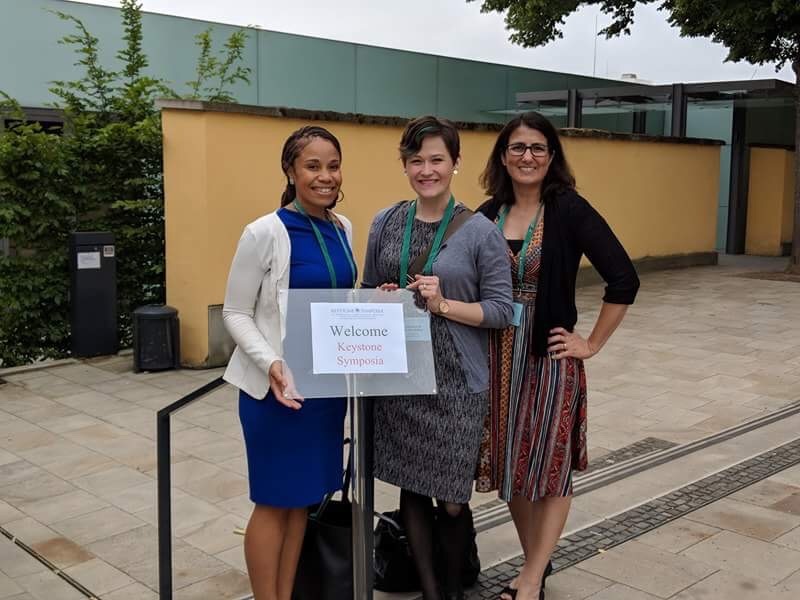 Janina is a biotech rock star, and we always feel lucky to cross paths with her as she zips across the world to spread the word about the cool genotyping arrays that she and colleagues are designing for diverse populations. Figure 3. 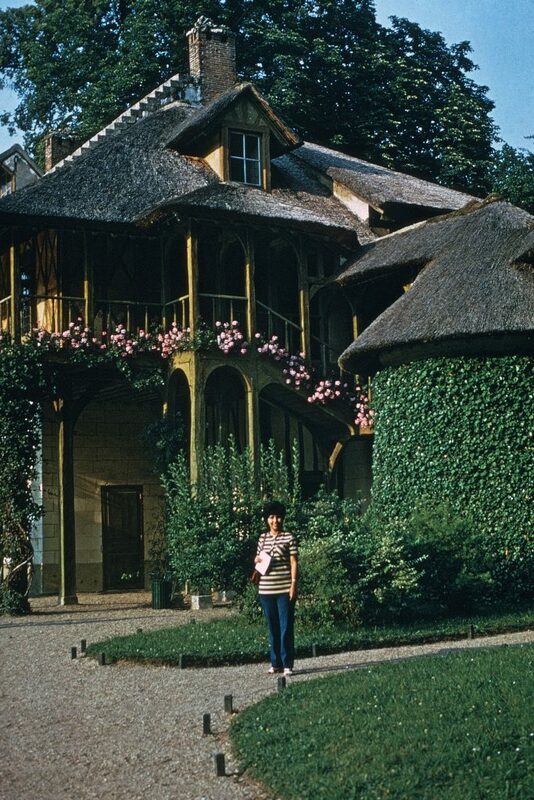 Mom at Hameau de la Reine, Versailles in France (1972). Yeah, we kinda know how that ended for Marie Antoinette and Co. 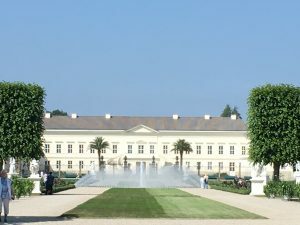 The meeting venue for this Keystone Symposia is unique as it was the former summer residence of the House of Hanover known as the Herrenhausen Palace. 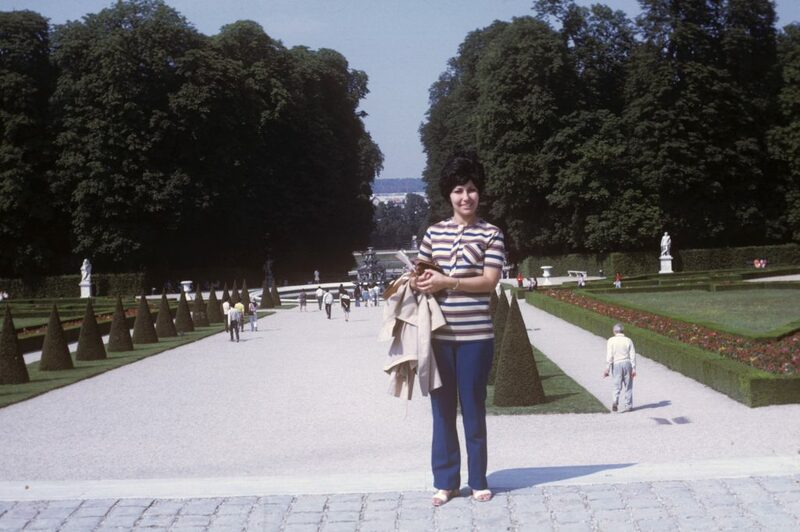 Aside from enjoying Netflix’s The Crown and PSB’s Queen Victoria with my Mom, I am only vaguely aware that other European countries had or still have royalty. And, of course, if it’s the former situation, only France comes to mind (Figure 3). So, what happened here in Hannover (Hanover)? The House of Hanover dynasty goes way back to the 17th century as a German royal family that ruled Hanover, Britain, and Ireland. A lot has happened between now and then to the family, and I honestly got lost in the details of all of it. Based on a cursory read of Wikipedia, it seems the House hummed along from one generation to the next until the 19th century when Queen Victoria came along. Apparently, the rules of succession for this dynasty did not include women, so while she was Queen of England, Victoria was not permitted to rule Hanover. Fine, who needs them. The Kingdom of Hanover broke up anyway around 1866 with annexation by the Kingdom of Prussia. 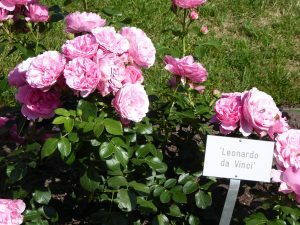 Since that time, descendants of the House of Hanover were exiled to Austria, where they live today. As for the summer house itself, it was designed in the mid-to-late 17th century in the style of Versailles, including the gardens. Much of the original structure was destroyed during World War II during the British bombing raids in 1943. The remains of the original house were torn down after the war. In 2009, the house and gardens were rebuilt using plans from the original house, albeit outfitted with the modern amenities necessary for conferences. 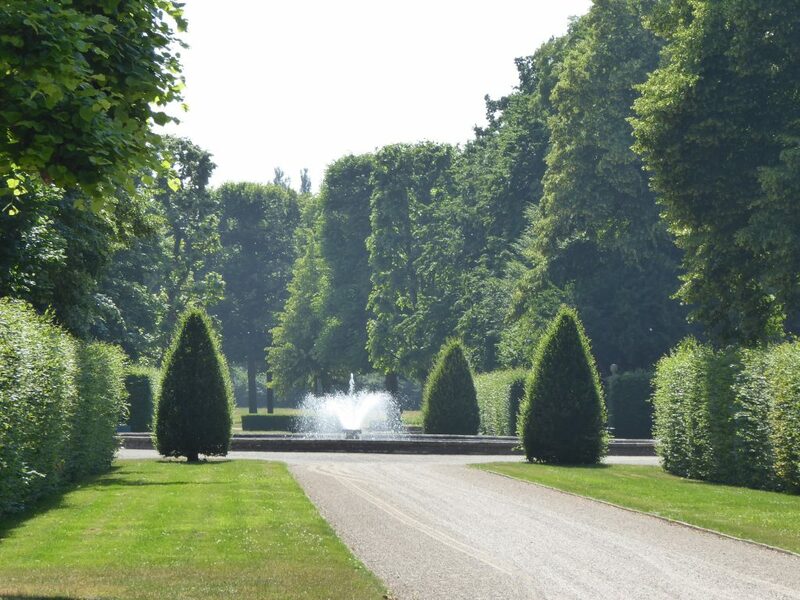 Today, the building and gardens serve multiple purposes that span the preservation and restoration of history, recreation for the the public, and the dissemination of great science (Figure 4). The science at this Keystone Symposia was indeed great. I do love a Keystone meeting as it is a moderately sized meeting with very high quality talks. On this occasion, the meeting featured international speakers, so we heard what institutions outside the United States (e.g., the UK, Estonia, Australia, Singapore, China) are doing to establish biobanks and organize electronic health records for research. The National Health Service talk really highlighted for me the effects our fractured health care system have on our research and dissemination efforts. I can’t imagine a world in which we can capture all health-related data on patients over their lifetime or a single electronic health record system. 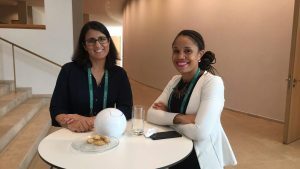 Time will tell, but it may be that countries such as the UK may be better positioned to both perform precision medicine research as well as implement it in the clinic for all patients in need of care. My short talk was on day 2, and it went pretty well. 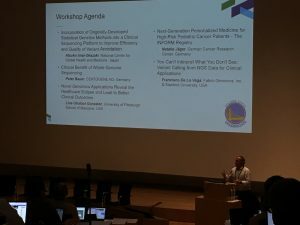 I had a few questions from the audience, and overall I think we were able to contribute a Great Lakes perspective on patient attitudes towards participating in these large biobanks and the expectation that data be returned to them. The day of my talk also coincided with game 3 of the NBA finals, and I just couldn’t help mentioning it on my concluding slide. Wouldn’t you know there was a Warriors fan in the house (Figure 5)? Sadly, the Cavs lost game 3 and game 4 soon after. And, Cleveland then lost LeBron after the season. It’s the end of an era. But it wasn’t the end of the meeting. Figure 6. Coffee break with Janina Jeff at #KS1Mgenome (2018). Short talks, longer talks, poster sessions, and coffee breaks (Figures 6 and 7). 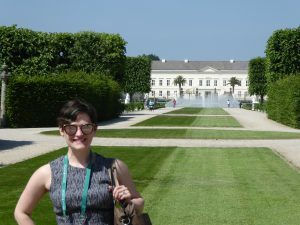 Between all of that, Jessica and I along with everyone else at the meeting strolled the beautiful Herrenausen Gardens (Figures 8-13). We also enjoyed Old Town (Figure 14) and the local cuisine (Figure 15). Little did we know it was Spargelzeit season. You know, pale asparagus. Everyone, I mean everyone we encountered in that town encouraged us to try this specialty. 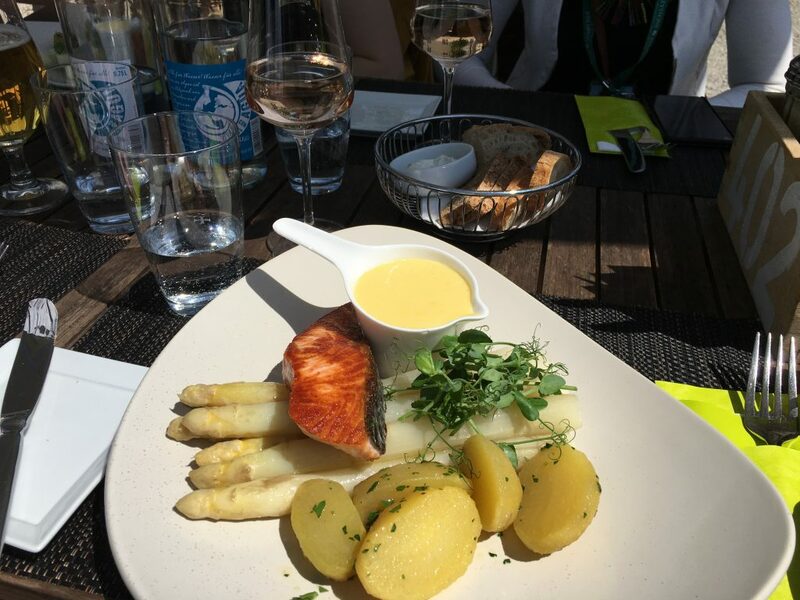 As skeptical as I was, I have to admit that the white asparagus was very tender and the regional dishes that showed it off were delicious. I can now see why people lose their minds every spring over this little spear. Sad to say that I had to cut this meeting short due to a family situation back in the States. Jessica and Janina filled me in on what I missed. As for me, I’m just plugging away at our work in Cleveland, hoping to have something to submit to Beyond A Million Genomes: From Discovery to Precision Health. Figure 13. 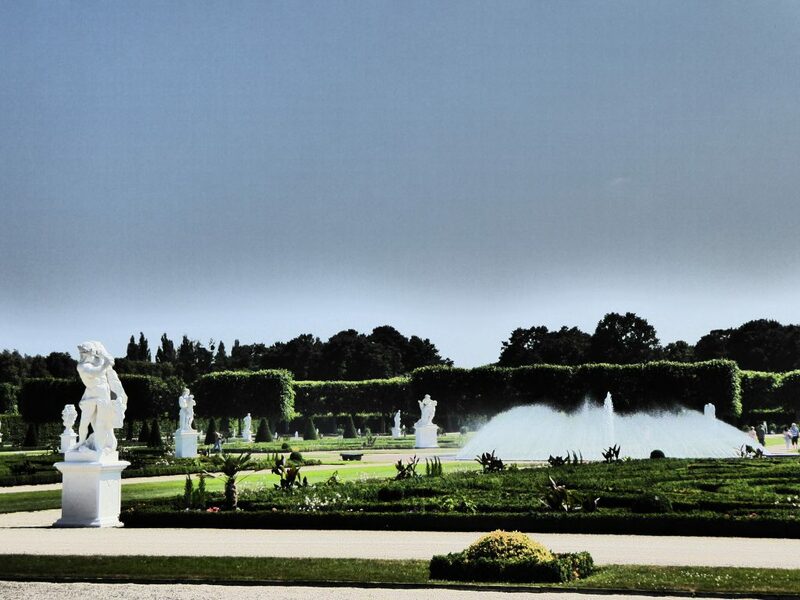 The Palace of Versailles Gardens, a blueprint for all fancy gardens thereafter (Versailles, France; 1972). 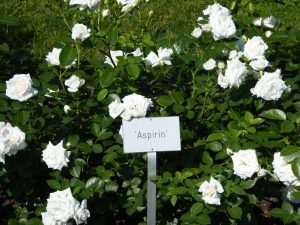 Posted in Crawford Crew and tagged Germany, Hannover, Hanover, Herrenhausen Gardens, Herrenhausen Palace, Keystone Symposia, Palace of Versailles, Precision Medicine.